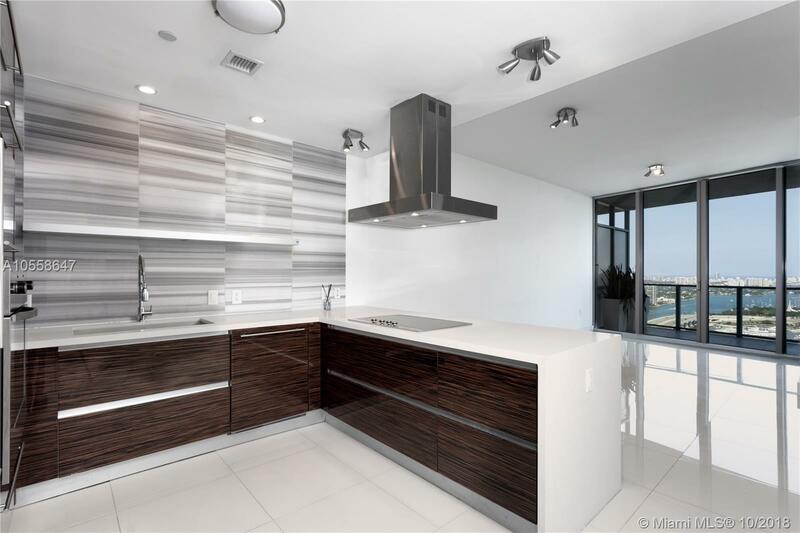 Beautiful 2 Bedrooms and 2.5 Bathrooms unit on the 38th floor with direct water/bay and city views. A private elevator welcomes you to an expansive and bright floor plan with tons of natural light coming from floor-to-ceiling cristal windows. The building offers five star amenities that recently went under renovation. Residents enjoy services provided by ME by MeliÃ¡ Hotel, including STK restaurant at street level. Pools, gym, spa, and much more.